How Does a Stair Lift Rental Program Work? Stair lifts are a safe and reliable way to increase mobility at home or in the workplace. Many elderly or physically disabled people purchase stair lifts to help travel between floors in their home. The stair lift allows them to once again go up and down the stairs independently. However, what happens when someone needs to increase his or her mobility but only for a short period of time? In this case, a person can take advantage of a stair lift rental program. While many people purchase stair lifts for their homes in old age, many people can benefit from stair lifts after an injury. Temporary injuries, rehabilitation situations, and hospice care are just a few of the scenarios where someone should use a stair lift rental program. By renting a stair lift, a person can get all the advantages of purchasing a stair lift for less. After an unexpected injury, mobility at home can be decreased until the person is healthy again. Many times a person may have the option to have hospice care at home. To make a person’s final months at home a better experience, a stair lift can be rented. This will allow the person in hospice to enjoy every part of their home. Then when the stair lift is no longer needed, it will be removed from the home. 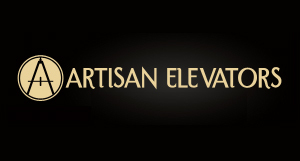 A stair lift rental program can be beneficial at the workplace after an injury, also. If a person must use the stairs every day at work, a stair lift will allow the individual to continue working while in recovery. 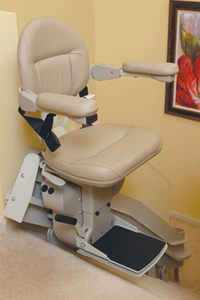 Stair lift rental programs usually work by charging a fee for rent, installation, and removal. So a person will pay a monthly rental fee, a one-time fee for installation, and then a one-time fee when the stair lift is removed. There may also be a minimum amount of time that the stair lift must be rented for. If increased mobility is only needed for a short period of time, a person should take advantage of a stair lift rental program.